Entering July, we are officially in the final month of 2018 without football! 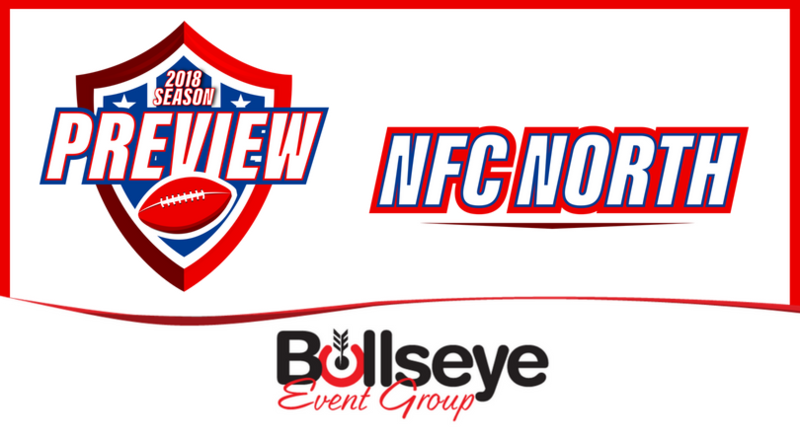 As team’s prepare to ramp up their game plans on the ‘Road to Super Bowl 53’ in Atlanta in 2019, will the Minnesota Vikings continue to dominate in 2018 with a new quarterback at the helm? The biggest contract awarded in NFL history, the Minnesota Vikings finally have what they feel to be their franchise-defining quarterback ahead of the 2018 season in former Washington Redskins QB Kirk Cousins. And despite not returning even one quarterback on the roster from the magical 2017 season that saw them one-game from a home-game Super Bowl appearance, the team seems to feel they’ve found the missing piece to make that final leap. Aside from renovating the quarterbacks room, the Vikings also brought in other key players, namely defensive tackle Sheldon Richardson and wide receiver Kendall Wright, and drafting cornerback Mike Hughes out of Central Florida in the first round of the 2018 NFL Draft. After yet another middle-of-the-road season in 2017, the Detroit Lions have a brand new coaching staff and a revamped roster heading into the 2018 NFL season. Former New England Patriots defensive coordinator Matt Patricia takes the reins in Detroit, bringing a new smash mouth mindset to the team. And the team’s offseason improvements look to bolster that mentality, bringing in players like linebackers Devon Kennard and Christian Jones, cornerbacks DeShawn Shead and Nevin Lawson, running back LeGarrette Blount and re-signing safety Tavon Wilson. A disappointing season for Green Bay began with a collarbone injury to quarterback Aaron Rodgers that would eventually sideline the Pro Bowler and Super Bowl champion for the majority of the 2017 season. But in 2018, with a brand new look across the board, the Packers are looking to rebound. Despite losing wide receiver Jordy Nelson, the Packers have seemingly reloaded on offense, bringing in some size in tight ends Jimmy Graham and Marcedes Lewis. On the defensive side of the ball, the team brought in embattled Jets defensive tackle Mo Wilkerson to bolster the front lines, and bolstered the defensive secondary by drafting Jaire Alexander out of Louisville and signin Tramon Williams. Another disappointing campaign, another offseason of change, and another year with a brand new head coach at the helm recaps the Chicago Bears of 2017 and 2018. But this time around, the Bears are confident they’ve found the long-term solutions. The Bears went on a free-agency spending spree after bringing in new head coach, former Kansas City Chiefs offensive coordinator Matt Nagy. On the offensive side of the ball, Chicago signed wide receivers Allen Robinson (JAX) and Taylor Gabriel (ATL), tight end Trey Burton (PHI). But it appears to be the defensive side where the Bears were looking to retool the most, drafting Alabama linebacker Roquan Smith in the 1st round of the 2018 NFL Draft, bringing in linebackers Sam Acho and Aaron Lynch, and signing a bevy of defensive backs in Prince Amukamara, Kyle Fuller, Sherrick McManis and Marcus Cooper.